Variation Accepted: Operating between THE GEORGE PARK AND RIDE SITE and PLYMOUTH (Royal Parade) given service number PR1 effective from 05-Dec-2010. To amend Timetable. 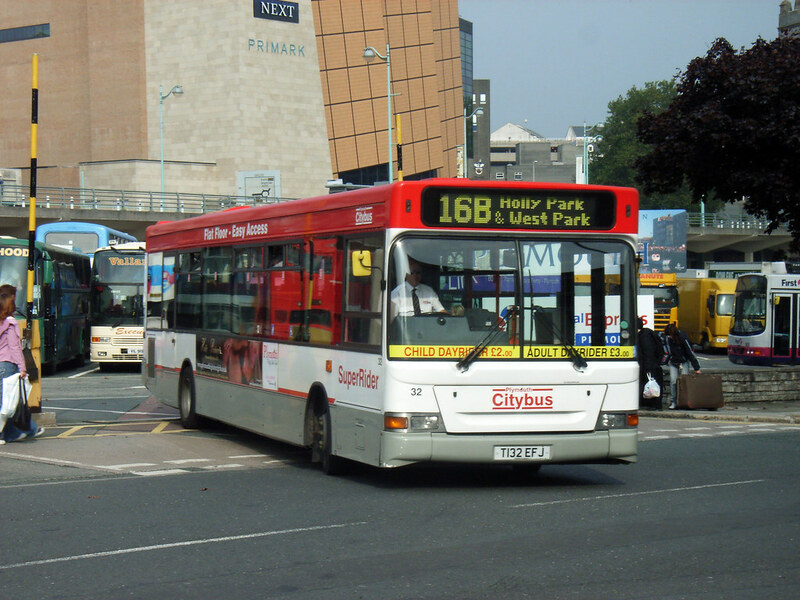 Variation Accepted: Operating between Coypool Park & Ride Site and Royal Parade given service number PR2 effective from 05-Dec-2010. To amend Timetable. The 48 has already been covered here. The two Park and Ride applications are probably seasonal extra runs for Christmas shopping evenings. The bigger news on Park & Ride is likely to come in the next month or so with the announcement of who is running the Park and Ride for the next five years. (Rumours suggest that First has retained the contract but we will have to wait and see). From the 29th November 2010 Service 16B Sundays and Bank Holidays is to operate to Whitleigh Green instead of Holly Park. No changes to time between Ringmoor Way and the City Centre. This change restores Sunday and Bank Holiday evening services to Whitleigh Green.